During the week each class has a dedicated library session, during which they are encouraged to select new books and talk about what they are reading. The emphasis is on reading for pleasure as we believe that reading is something that we can all enjoy. As well as the regular weekly sessions (see below for the timetable), we also organise events such as book fairs, book swaps, storytelling sessions and activities related to World Book Day. The final library session of the term will be Thursday 4th April. Library sessions will restart on Tuesday 23rd April. After school library session for KS1 – Mondays 3.30 – 4pm. Mrs Turner will be in the library so that all KS1 children can read, borrow and return books and use the library computer. All children need to be accompanied by a parent please. The final KS1 after school session of the term will be Monday 1st April. Sessions will restart on Monday 29th April. Lunchtime session for KS2 – Monday lunchtimes. Mrs Turner will be in the library so that Y3-Y6 can read books, borrow and return books and use the library computer. The final KS2 lunchtime session of the term will be Monday 1st April. Sessions will restart on Monday 29th April. Years 5 and 6 also enjoyed an inspiring trip to Frome in February to see the brilliant authors Kiran Millwood Hargrave, Nicki Thornton and Maz Evans. Many thanks to Bath Festivals and The Little Things Magazine for organising this free event. Thank you to everyone who supported a wonderful World Book Day whether by dressing up as your favourite book character, supporting the Travelling Book Fair or entering the favourite word competition. We had a fabulous time celebrating reading with Fleur Hitchcock. Every class was able to spend time with her and ask questions about what life is like as an author. Watch this space for photographs of some of the amazing costumes! 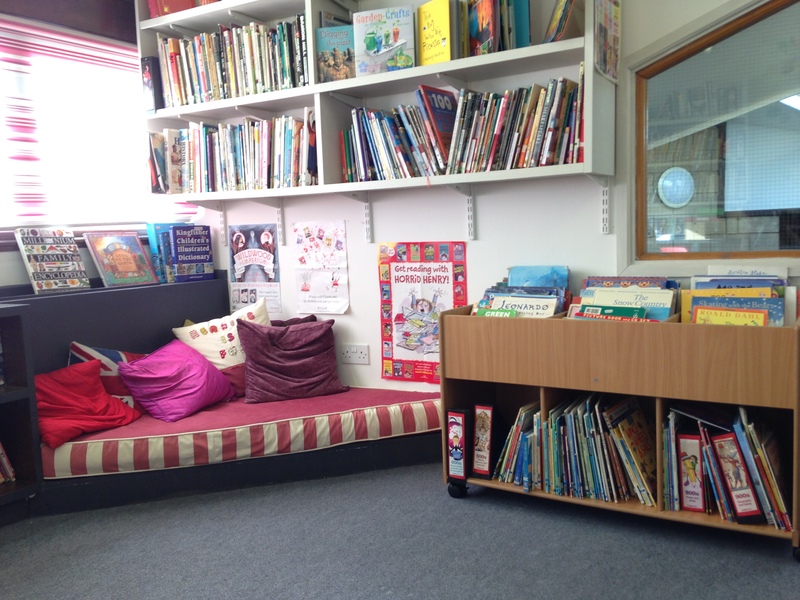 The school library is catalogued and run using Junior Librarian, allowing the children to search, browse and review the books in the Library. This enhances the way children can use the Library and share books they have enjoyed. Please visit http://u020976.microlibrarian.net to search the library. Book Trust | a really useful source of information about books, including the Book Trust BookFinder. If you are having a clear out of your books at home, we always welcome donations of books for the library. Please just drop these into the school office.